I’m a litigation lawyer and practice primarily in the area of construction law. In particular, I seem to have a natural affinity for construction deficiency claims – I like them and they like me. Not only do deficiency claims usually have complex and interesting factual and legal issues, they are often meaningful for the parties involved. This makes for satisfying legal work. I grew up in Kitchener, Ontario but packed up in 1993 and headed out west to go to school in Vancouver. I eventually ended up going to law school and practicing law at a large Vancouver law firm where I joined that firm’s Construction Law Practice Group in early 2002 to help with the incredible workload that the “leaky condo crisis” had generated. Until returning to Ontario in 2008, I worked on numerous files arising from leaky buildings, representing primarily condominium owners, but also single-family home owners, a large building product manufacturer, and residential developers. Most people, certainly in condominium management circles, have some degree of awareness and understanding about British Columbia’s “leaky condos”. It was a real phenomenon and socio-economic crisis that had a profound and lasting impact on the lives of tens of thousands of homeowners and the practices of builders, developers, architects, and municipal inspectors. To get a sense of the magnitude of the effect and fall-out, one only need consider that it resulted in the financial collapse of B.C.’s provincial new home warranty provider of the day, a significant re-writing of parts of the B.C. Building Code, and an international renaissance in building envelope science. I should say at the outset that I don’t think for a minute that Ontario is likely to experience a leaky condo experience anything akin in magnitude to that in B.C. – the climate is different, there’s less moisture here and warmer drying periods, and the architecture is somewhat different. That said, buildings that suffer water ingress are not by any means a uniquely coastal phenomenon and Ontario’s heavy seasonal (and often wind-driven) rains, the rapid rise in multi-unit residential construction in Ontario and late-coming changes to the Ontario Building Code (approximately eight years behind those in the B.C. Building Code), certainly create the possibility. While not everyone will be genuinely interested in the “leaky condo” story, what is, in my view, of utmost importance is that people – homeowners, property managers, builders, and designers – heed the lessons that were learned in B.C. as a result of the experience. For homeowners, property managers, and condominium boards, the most important of these lessons is recognizing the early signs of a problem and acting on them. This article is not intended to provide legal advice and neither is it intended to be a comprehensive playbook or checklist – what it is intended to do is to offer a few of the suggestions that I wished over the years I had been able to provide to owner/manager clients who, unfortunately, didn’t seek advice (legal, engineering, etc.) until long after the problem had been discovered. Most often, the early signs of a “leaky condo” are first evident to the owners of individual units in the building. These owners will report wet carpets, water on window sills, drywall or ceiling staining, or similar problems to the condominium board or the management company. Sometimes these reports will begin very shortly after a new building is occupied and other times the reports won’t start until years after a building was constructed. From a legal point of view, it is critical that those involved in the management of the building take these reports seriously and act on them quickly. Property managers are almost always heavily involved in both the investigation of construction deficiencies and the management of the remediation work. 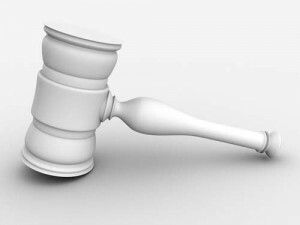 Similarly, if the condominium corporation votes to raise funds and pursue cost recovery litigation, the property manager will almost always serve as the primary liaison between legal counsel and the condominium’s board of directors. Given these realities, there are a few things that every property manager should consider and keep in the back of his or her head to be well positioned to both identify issues and to respond effectively and appropriately in the face of the discovery of a design or construction deficiency. Even without signs of leaks, for new buildings, one of the best things a condominium’s management can do is to retain a building science professional (generally an architect or an engineer) to conduct an investigative building envelope assessment of the subject building within the first year of the Tarion warranty coverage. If the investigating expert discovers Building Code violations, substandard workmanship in the building envelope construction, or significant deviations from building manufacturer’s details, specifications, and installation instructions, these should be reported to Tarion right away so that Tarion can assess whether warranty coverage applies. While incurring the cost of a building envelope assessment on a new building can be a hard sell to the owners, taking this pro-active and preventative measure will be some of the best money the condominium corporation ever spends if a serious problem is discovered. Even if a building is not new and there’s no warranty coverage, bringing in an expert to assess the construction and condition of the building envelope can be a good investment. If a major problem is discovered, the condominium corporation can start budgeting to carry out repair work and consult with a lawyer to see whether legal action is warranted. If no major problems are discovered, the consultant will be able to provide advice with respect to required maintenance and identify any areas that should be monitored. Regardless of whether it is a newer or an older building being assessed, encourage the condominium board to hire a premier building science firm to carry out the investigation. First, the old adage that “you get what you pay for” often holds true in this case. Second, the preliminary assessment may be one of the most important pieces of evidence if litigation later follows and premier building envelope consultants will generally be better expert witnesses than consultants with less experience or weaker qualifications. Educate owners within the building about what to look for and set up a protocol for reporting problems. This suggestion may sound a little pedestrian but you’d be surprised how many times I’ve seen unit owners wait months or years before reporting the problem and acting upon it. A necessary component to this suggestion is that the management (the condo board, the property manager, etc) needs to follow up with these reports, investigate the causes, and watch for patterns (i.e. leaks or moisture at the balcony doors of more than a couple of units may indicate a defective sliding door design or installation, a membrane problem, or slope deficiency that might affect most or all units in the complex). Establish a system of inspecting and maintaining the exterior of the building. While a window and a wall assembly might be reasonably expected to last for 20-30 years (or much more), caulking and other seals generally are not. One excellent building envelope consultant that I worked with often in Vancouver told me that, ideally, caulking should be inspected every 1-2 years and completely replaced every few years. If a building has systemic water ingress problems and significant design or construction flaws, this usual and normal maintenance won’t likely solve the problem. However, if a building is not maintained, owners can bet their bottom dollar that the defendants in their cost recovery claim are going to raise a lack of maintenance as a defence (contributory negligence) to the claim. 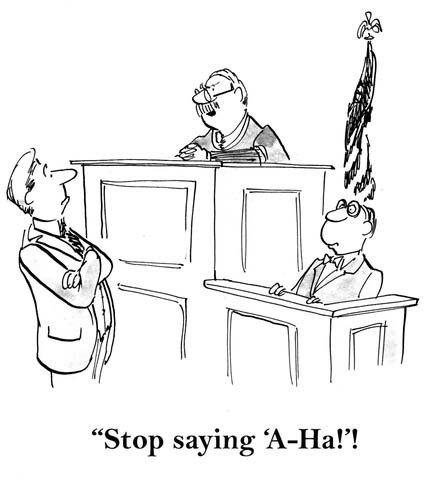 One of the most important things to do following the discovery of a problem is to consult legal counsel quickly. Every Province has its own legislation that governs the timeframe within which a would-be Plaintiff must start its lawsuit. In Ontario, the current legislation requires that a lawsuit be commenced within 2 years of the event giving rise to the claim. It’s actually much more complicated than this – there is a huge body of law surrounding when that 2 year clock begins to tick – but many otherwise strong claims have been defeated because a Plaintiff failed to commence a claim in time. This is a heartbreaking way to lose the right to pursue compensation for repairs. Bottom line: Err on the side of caution and act quickly. Keep good records (and store them in an organized file) with respect to building envelope maintenance, reports of water ingress, any investigations undertaken, discussions (i.e. meeting minutes) and communications (i.e. emails, letters, etc.) on the subject, and financials. If a problem arises and if litigation becomes likely, not only will the condominium corporation’s lawyer love management for having done this, the condominium corporation will likely save considerable money in legal fees if the lawyer doesn’t have to comb through dozens of files and thousands of documents looking for and sorting the relevant documents. If there is a suspected problem with the building envelope, take steps to find out the identities of all of the players involved in the construction of the building in question. Some of this information can be obtained from the condominium’s description documents and the contracts of purchase and sale. However, often the best source is in the planning and building department file of the municipal authority having jurisdiction over building permits and approvals and such. A bit of advance notice to the good staff at the planning and building department and a half an hour at City Hall will usually net a lot of good information. If a lawyer is retained, he or she can take care of this as well but can better “hit the ground running” if some of this information is already known. This can also save valuable time if limitation periods are an issue. At the end of the day, the central theme of these few suggestions is to monitor and investigate, maintain, and to seek advice promptly if problems are discovered. Another important point to take away is that, if owners fail to properly and diligently maintain their buildings over time and act quickly if problems emerge, they will, to varying degrees, risk having to absorb or share in the blame that might have otherwise been borne by the developers, designers, builders, trades, and municipalities that designed, built, and approved the construction of the building. The Daily Commercial News published a short article today, written by Peter Kenter, about services and technology being offered by Systech International (with an office in Mississauga, Ontario) for the collection and presentation of evidence pertaining to the impacts of delay to construction projects. The service and technology described are 1) visualization presentations and 2) a smartphone Site Diary App. 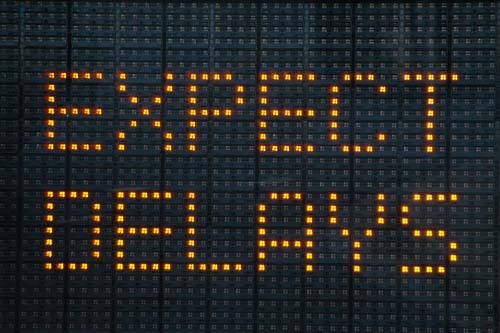 While, as a construction litigator, I’m certainly intrigued by the concept of, “…high-level computer-animated sequence, fully narrated, showing exactly how delays affected the staging and construction of a project” as described by the article, realistically, such a presentation is, I would expect, likely cost-prohibitive in all but the largest delay claims. By contrast, the “Site Diary App” is, conceptually at least (I have no idea whether Systech’s app is good or not, how much it costs, whether it can be purchased as a stand-alone product or is only available bundled with other products, etc), something that might have a much broader appeal and utility. Click here for a link to Systech’s promo/informational video for the app. I’ve seen some really poor site diaries over the years and so the prospect of a tool with the objective of making the process of keeping a good site diary easier and better is of real interest. 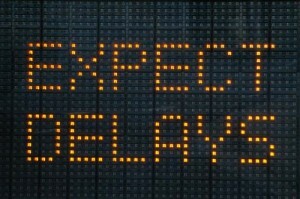 Most litigators will agree (I think) that – without discounting the value of retrospective opinion evidence of experts on the causes and impacts of delays after they have occurred – the best factual evidence regarding the issues arising during a construction project will normally come from documents/records created contemporaneously with the events to which they relate. If this app can, at a reasonable cost and in a robust, user-friendly way, assist in creating that evidence, I expect that it will become a useful and common tool in the construction industry. If any of my readers has any experience with this app (or knows someone who does), and is willing to spend a few minutes to give me a call or send me an e-mail, I’d be interested to hear early thoughts and reviews on it. Kitchener-Waterloo’s main journalistic rag, The Record, reports that the Ontario Government will apply to the Court to become an intervenor (an intervenor is a party added to a court proceeding as a result of an interest in the outcome) in the Region of Waterloo’s appeal of the Ontario Municipal Board’s decision to open up more than 1,000 hectares of regional land to new greenfield development (compared to the 85 hectares set by the Region). As reported, if the Province’s motion is successful, the Region will have a powerful ally in its appeal. The significance of this appeal in shaping the development of the Region of Waterloo for future generations is obvious and many, myself included, will be watching with great interest as it unfolds. Today’s online Globe and Mail posted a short but interesting article summarizing an interview of EllisDon’s President, Geoff Smith by the Globe & Mail’s Gordon Pitts. Read the article here. The most interesting observation Smith makes, from my perspective is, “General contractors are not builders – we are leaders and managers and it is all about information. We manage the process of other people doing the building. If you control that information and make the process efficient, you are ahead of the game.” Not an earth-shattering revelation by any stretch but, for those of us for whom “general contractor” still tends to invoke an image of a big guy smoking a cigarette out of his Ford F-350 caked in mud – Smith’s comment is enlightening. Today’s general contractors are blurring the lines between “contractor” and “construction manager” and “project manager” and it is an industry becoming increasingly sophisticated. A good little read. Construction deficiency claims and title insurance being two of my primary areas of practice and both being near and dear to my heart, I read Mike Holmes’ article “A flood of misinformation: Title insurance is not a home warranty” in the National Post with some interest. I don’t agree with everything that Holmes says in the article but he got the title right anyway. Title insurance is a specialized insurance product and, as a very general statement, protects purchasers of real property from a long list of “title” or “ownership” related problems or “risks”. It is not, and doesn’t pretend to be, a warranty of good design and/or construction. The title of the article seems to suggest that Holmes agrees with this proposition. So far, so good. Where Holmes really loses me, though, is when, in discussing hypothetical homeowners who discover major construction deficiencies, he writes, “Who’s at fault? Is it the homeowner who got the renovation? Is it the contractor that was hired? Is it the title insurance company, the building inspector or the government? 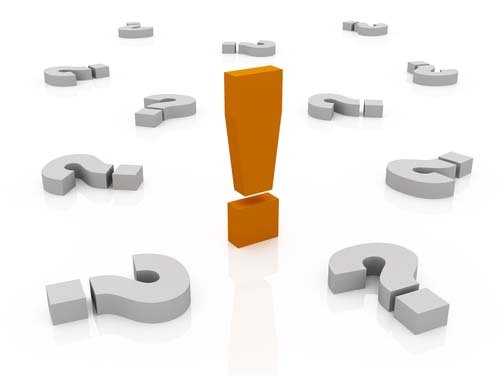 As far as I’m concerned, it’s all of the above.” How can the title insurer be at fault? A policy of insurance (be it title insurance or some other kind of insurance coverage) covers what it covers and doesn’t cover what it doesn’t cover. For Holmes to suggest, as he does, that the title insurer is at fault in the scenario he outlined is a bit like saying that when your house gets broken into and your auto insurer won’t pay for your stolen sofa, your auto insurer is partly at fault for your loss. In any case – I thought the article was worth mentioning as Homes has brought some good media exposure to title insurance and cast at least a little bit of light on a common misunderstanding that I see all too often in my practice. The Ontario Court of Appeal released Metropolitan Toronto Condominium Corporation No. 1352 v. Newport Beach Development Inc. earlier this week. 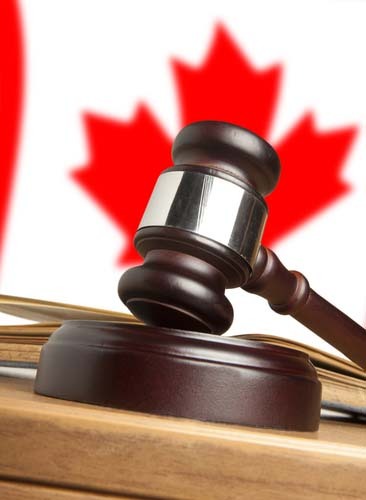 It’s an interesting case and may actually provide some useful jurisprudence in litigation involving defects and claims under the Ontario New Home Warranties Plan Act (ONHWPA). 2] The respondent Metropolitan Toronto Condominium Corporation No. 1352 (“Metro 1352”) manages a luxury condominium project in Etobicoke near the shore of Lake Ontario. It alleges that the project has two major construction defects. It claims that the sanitary sewer system was not built properly, causing toilets in the condominium units to overflow and the units themselves to flood with sewage. It also claims that a systemic failure of the exterior cladding over the project, called the exterior insulated finish system (“EIFS”), has caused water penetration in the condominium units. Metro 1352 sought compensation for these two defects under the Ontario New Home Warranties Plan Act, R.S.O. 1990, c. 0.31 (the “Act”). The administrator of the Act, the respondent Tarion Warranty Corporation, denied compensation. Instead of appealing Tarion’s decisions to the Licence Appeal Tribunal, as it was entitled to do, Metro 1352 started this litigation. It has sued Newport, the vendor and declarant of the project; Canderel, a developer related to Newport; Spampinato, an officer of Canderel; Enersys Engineering Group Ltd. and Eric Pun, the engineers on the project; and Tarion. It has asserted causes of action for breach of statutory warranty, negligence, breach of fiduciary duty and breach of contract. The engineers have been noted in default. The other defendants have not delivered a statement of defence. On its Rule 21 motion Newport asked for various forms of relief, but principally for an order dismissing the action on the ground that the litigation is an abuse of process. Newport argued that Tarion’s decisions denying warranty coverage could only be reviewed by an appeal to the License Appeal Tribunal. Either the doctrine of issue estoppel or the rule against collateral attack prevented Metro 1352 from re-litigating its claim by a civil action. The motion judge, Corrick J., disagreed and dismissed the motion in its entirety. (1) Did the motion judge err by failing to dismiss Metro 1352’s claims relating to defects in the sanitary sewer system and the EIFS, both against Newport and Tarion, as an abuse of process? (2) Did the motion judge err by failing to dismiss the claim for breach of warranty for defects in the sanitary sewer system on the ground that they do not constitute a major structural defect under s. 13(1)(b) of the Act? (3) Did the motion judge err by failing to dismiss the claim for defects in the EIFS on the ground that the claim was a new cause of action added by amendment to the statement of claim after the expiry of the limitation period? One of Newport’s arguments in relation to the first question above was that the doctrine of “issue estoppel” should – Metro 1352 having already been provided determinations by Tarion that the defects were not compensable under the ONHWPA – prevent Metro 1352 from suing Newport in Court over those very same issues. In analyzing Newport’s argument regarding issue estoppel, one of the things that the Court of Appeal had to consider was whether Tarion’s decisions were “judicial” decisions. To my surprise and horror (OK…not horror, near horror), the Court of Appeal disagreed with the motion judge and ruled that the decisions of Tarion’s inspectors are “judicial” in nature. Communicated regularly with both me and the builder in the absence of the other before (and after) issuing the Warranty Assessment Report, making the process far from open and transparent. Both sides can feed the inspector information without the other side necessarily knowing about it and there is, therefore, no way to know what information is being provided and what sort of verification is being done. Did not hold anything that could reasonably be considered a “hearing”. Don’t allow third/non-parties to be present during the inspection. If it is “judicial” or adjudicative in nature, why wouldn’t an owner or builder be permitted to have a lawyer or an expert, for example, present? Adhered rigidly and inflexibly to Tarion’s “Construction Performance Guidelines” which are a useful but, in my view, imperfect and incomplete set of “guidelines”. There is not much “judicial” analysis involved in robotically applying “guidelines” as though they are infallible and carry no exceptions. Did not have any legal training. Ignored large amounts of information provided to them (such as manufacturer’s installation instructions that had not been followed by our builder). None of this showed up anywhere in our Warranty Assessment Reports and when I asked about it at the inspection, I was told by one of the inspectors that he “hadn’t looked at it”. Didn’t bring a ladder or binoculars or have any way of “inspecting” second story exterior deficiencies for which they had ample and complete notice were to be assessed. If the inspectors are tasked with inspecting deficiencies and then making a “judicial” determination regarding same, how can they possibly do so if they show up and don’t have any manner of even looking at the alleged deficiency? Didn’t take note of most things either party said during the inspection. While I don’t think a detailed transcript should be required, when few notes are taken one is left to wonder how much information is actually making it onto “the record”. At the end of the day, I think that the outcome (and most of the analysis) in this Decision is correct so it may be that not much turns, in practice, on this aspect of the Decision. It just strikes me – as I expect it might strike many who have had the experience of actually going through the Tarion conciliation inspection and assessment process – that to call Tarion’s internal decision making process “judicial” is inaccurate and diminishes truly judicial decision making. Just because an animal has a bill, webbed feet, and lays eggs, doesn’t necessarily mean it is a platypus.